Get ready for your pinches of salt everyone but according to reports the latest showrunner and lead of Doctor Who are to quit the show in solidarity together after the BBC have once again attempted to interfere with the running of the hit show, recently “rebooted” under the new showrunner. 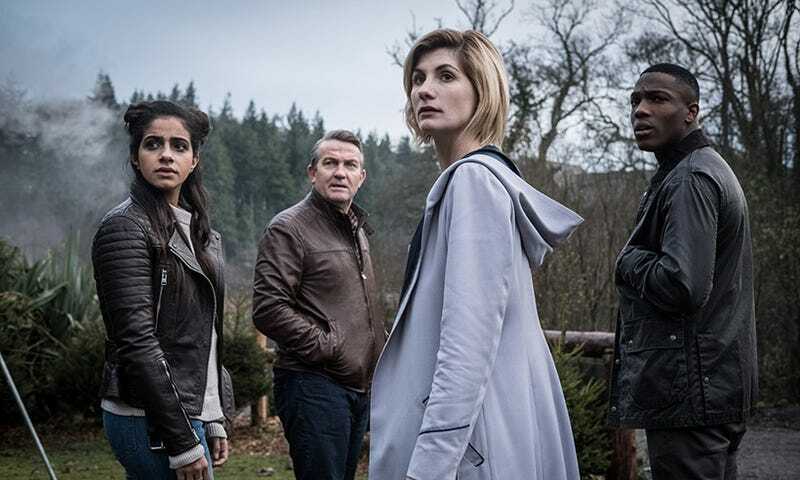 The source of this split is believed to be down to Chibnall wanting a series of 10 episodes every 18 months rather than a series every year as previously, while Whittaker isn’t willing to stay on without Chibnall at the helm. If this report is true it wouldn’t be the first time Auntie has messed with the franchise, famously drafting a fake statement from the Ninth Doctor Christopher Ecclestone after they fell out in 2005. Despite losing viewers over the course of the latest series the show’s overnight figures are still strong, pulling above the overnights of the Capaldi run by several million and above all but series 8s consolidated ones as well. Personally if this happens I’m going to be rather narced off because the new tone of the show, a well-crafted and more serious take compared to all of NuWho, has been rather refreshing and interesting even if not every episode and decision has been one I agree with. If the BBC are doing this because of the international market it’s only going to make it worse given a large domestic (and legally their target) audience is being overlooked out of corporate greed essentially, especially when they allowed Moffat to split a series into two halves at one stage because of his commitments.